Toronto is the biggest and most populous city in Canada and that leads to some of the densest and most complicated traffic in the country. With so much traffic, it can be difficult to maneuver in traffic and to find your way around the many roads. You need to be prepared so your delivery is not late for arrival. An in-depth knowledge of the streets and traffic of Toronto is critical to getting your delivery there on time. 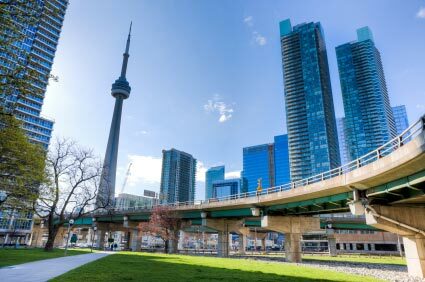 At Power Link Courier, all of our couriers in Toronto are exceptionally familiar with the GTA, knowing which routes will be quickest at any hour of the day. Plus, by leveraging GPS and real-time P.O.D. technologies, each of our Toronto couriers are constantly connected with our dispatch centre, ensuring that we make your delivery as efficiently as possible. GTA pricing applies to all courier services in Toronto.